The Santa Cruz Mountains present a unique set of challenges when it comes to Water Damage Restoration. This begins with the weather forecast. Seems like you could always add several inches of rain to what is predicted. During the rainy season we experience trees falling, rivers, creeks and streams flooding and road closure which adds to the difficulty of emergency response. When the San Lorenzo River got bottlenecked with debris, nearby communities were flooded. This brings not only water, but also river muck that intrudes into crawlspaces and homes. River water is fraught with bacterial contamination and should be considered a Biohazard. Seawater falls into this same category. One year, the ocean rise was so high that it flooded the homes along Beach Drive in Aptos on both sides of the road. On the ocean side of the road the tempestuous and angry waters lifted a picnic table and slammed it through the sliding glass doors of one home, flooding it with glass, seawater, sand and silt. 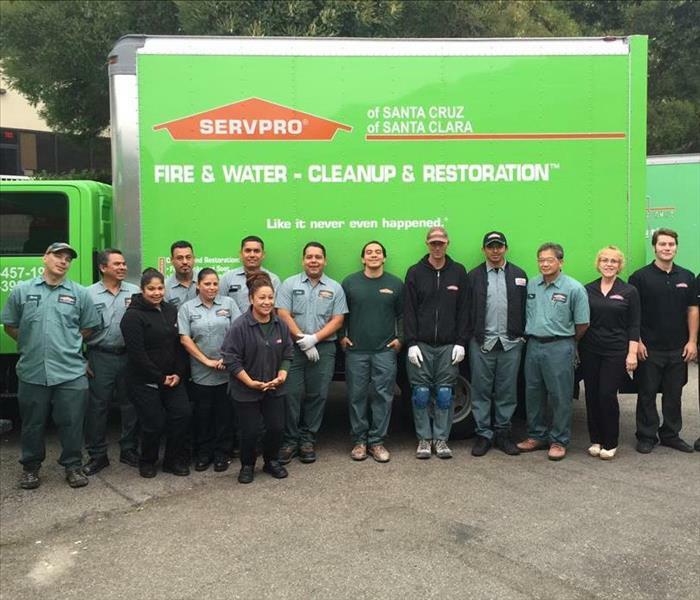 SERVPRO of Santa Cruz is prepared for the Water and Fire Damage events that are unique to this beautiful place that we call home. If you experience a water or fire emergency, call SERVPRO of Santa Cruz to help make it "Like it never even happened." SERVPRO of Santa Cruz is locally owned and operated, so we are part of this community too. When you have a cleaning or restoration need, we’re already nearby and ready to help. We take pride in being a part of the Santa Cruz, CA community and want to do our part in making it the best it can be.